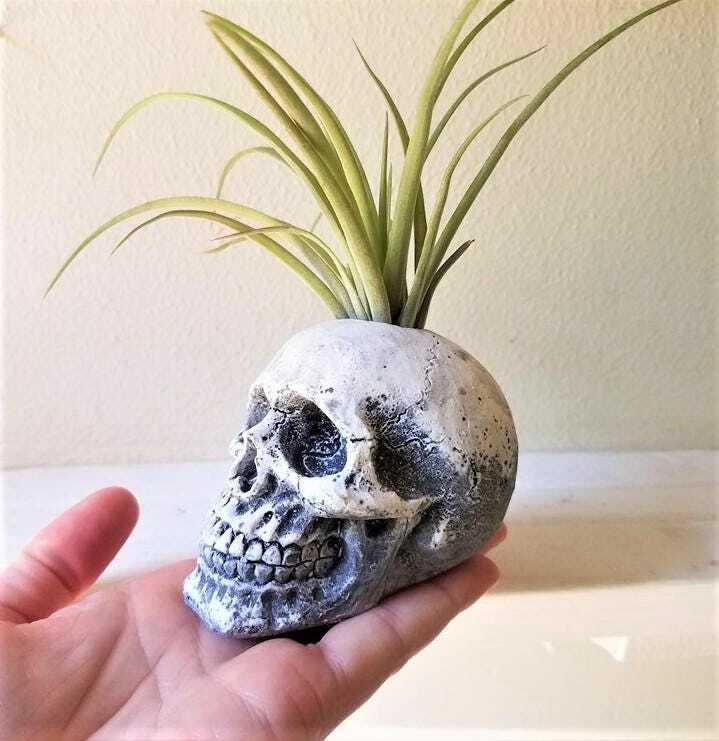 This skull sir plant holder is such a nice size!! Not too small... not too big... 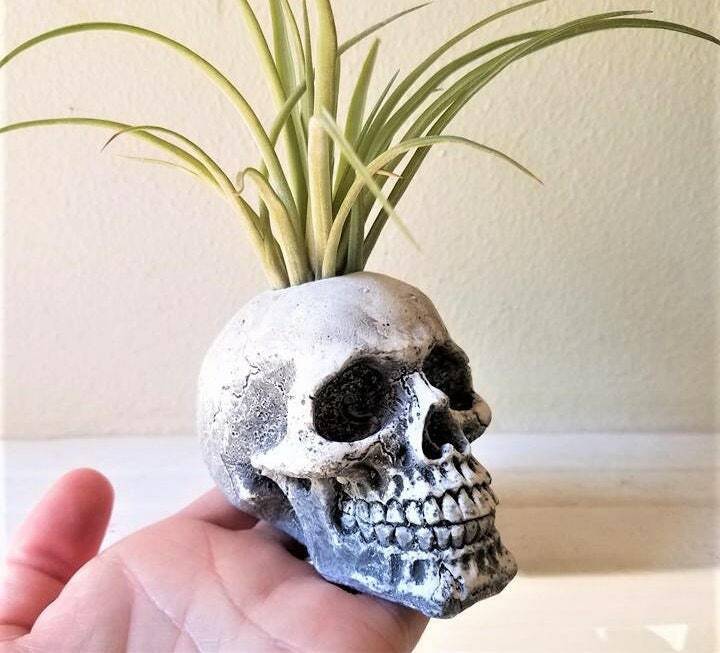 Listing is for 1 skull. 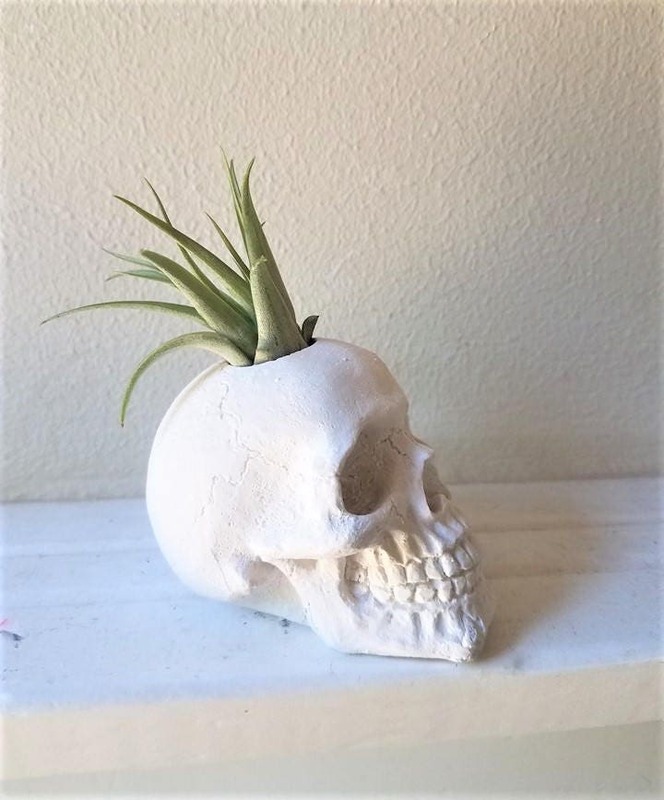 Perfect for a little planter on your desk, space filler on your book case, kitchen window ect. 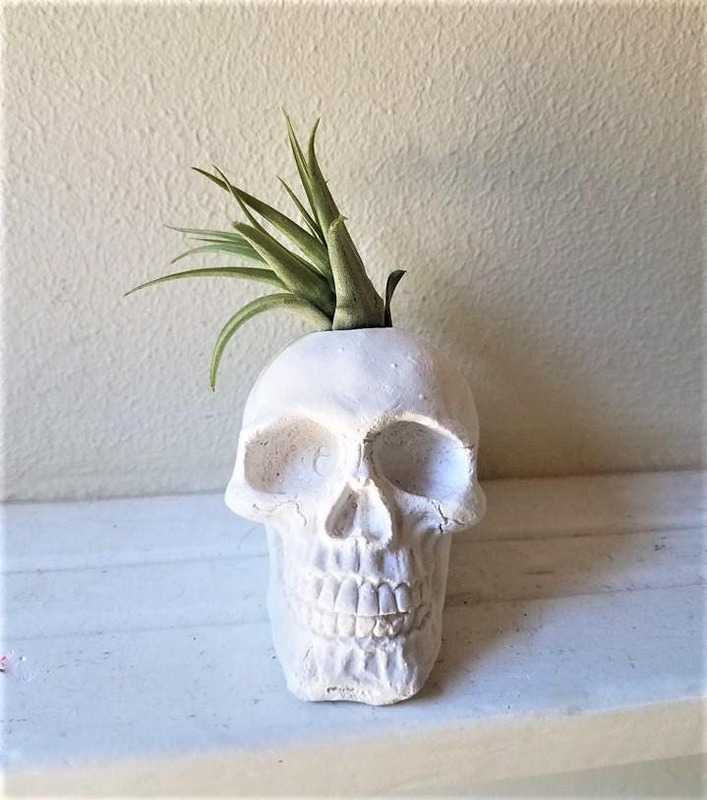 Opening for plant measures 7/8", designed to hold an air plant or pillar candle. 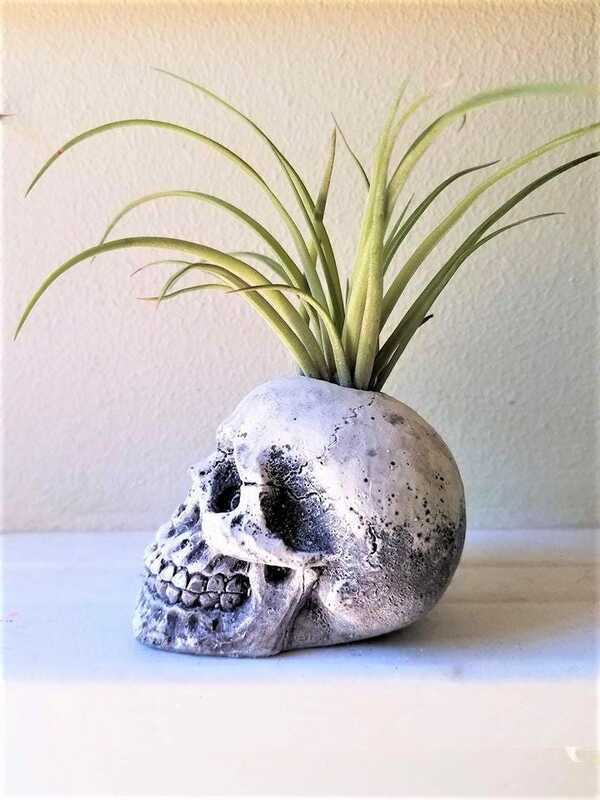 NOT suitable for a succulent. 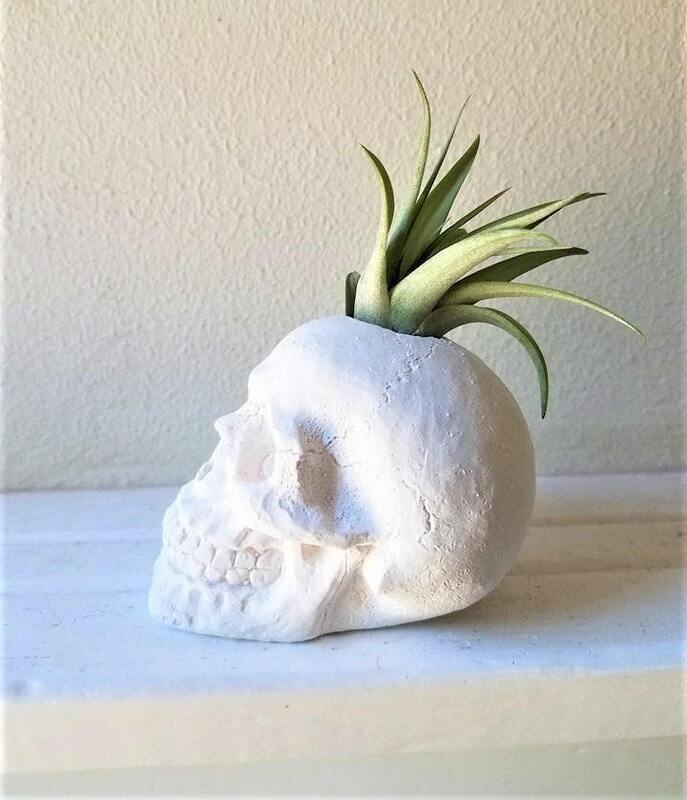 I make each one from scratch, shown here in matte white and my faux stone grey finish. 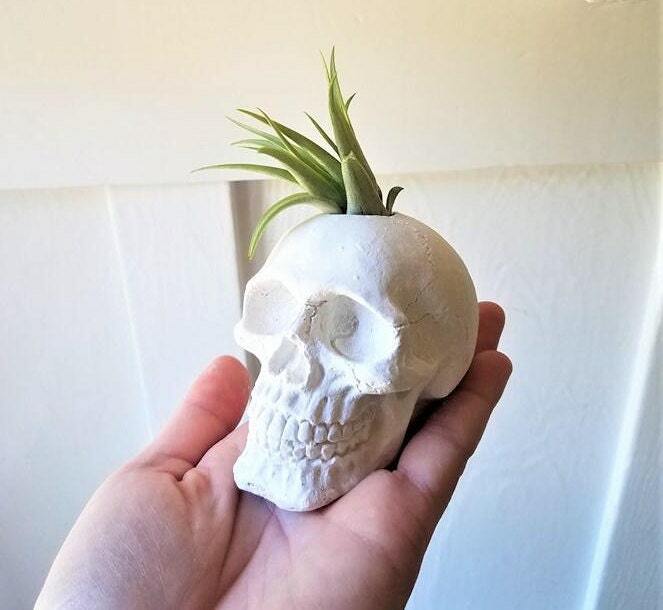 happy to make your little skull friend in whatever color you like! see the options and send me any special requests! He’s GORGEOUS!!!!!!! 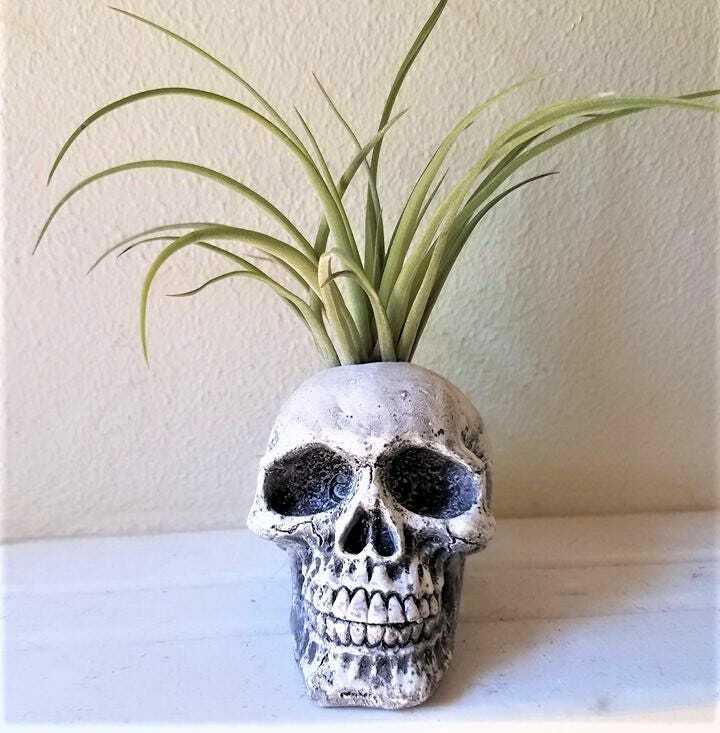 Beautifully made, solid, detailed - absolutely perfect! 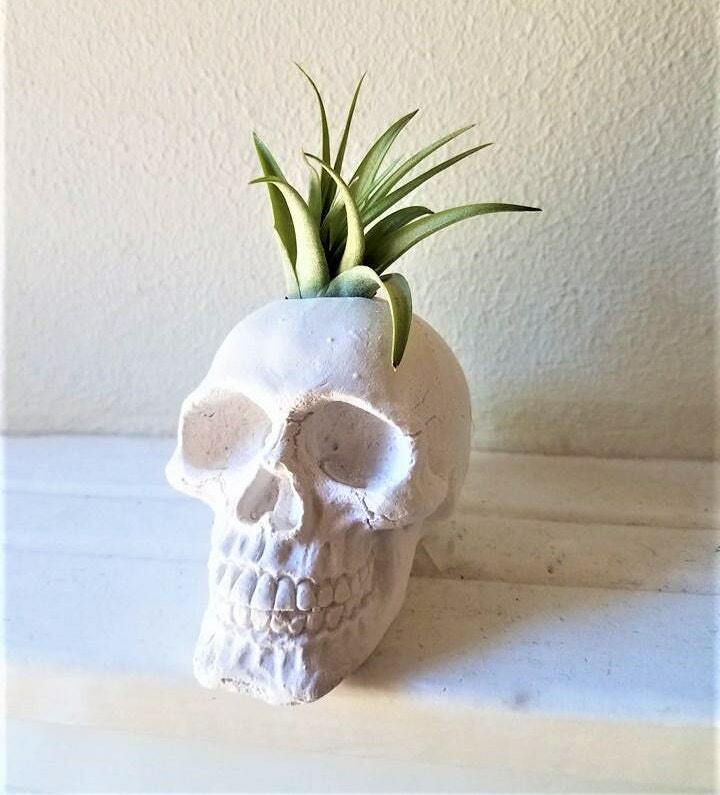 His little plant-hair is adorable and the perfect size for his head. 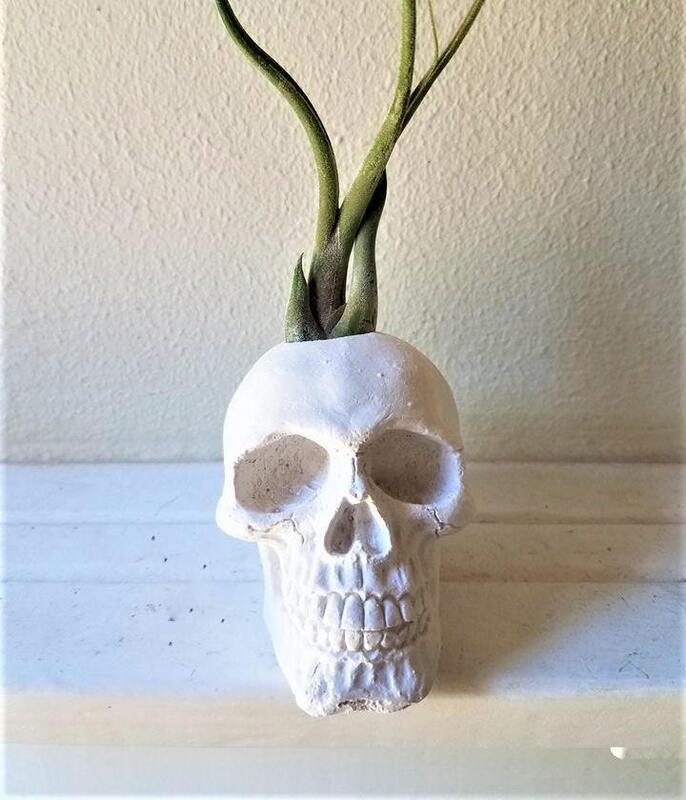 The plant is also in decent shape - I have never ordered plants via USPS so I was a bit worried what shape it would arrive in. I’d definitely order from you again!